This photo from the Museum Chad Negative Collection was taken in October 1983 and is just marked Mansfield Woodhouse. 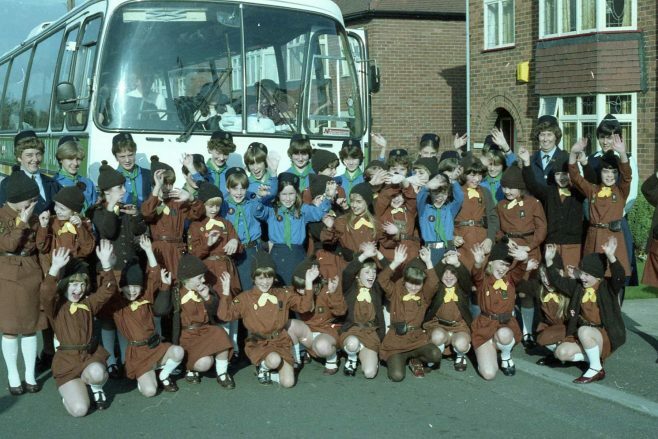 Can anyone add more information on where these happy youngsters were going? This was taken before we went to see crackajack in london. I am one of the girl guides in the picture I was 10 years old!